i popped into our library yesterday and popped back out with this fabulous book - for FREE! 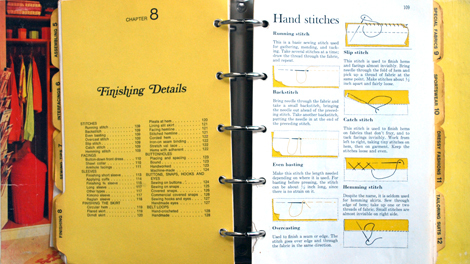 there was a plastic bin full of free books hanging out in the lobby and ta-da, a sewing book just for me. i am definitely a sucker for free, but i think i would love this book even if i had to pay for it. there is no date in the book, but i would guess it is from the 60s. 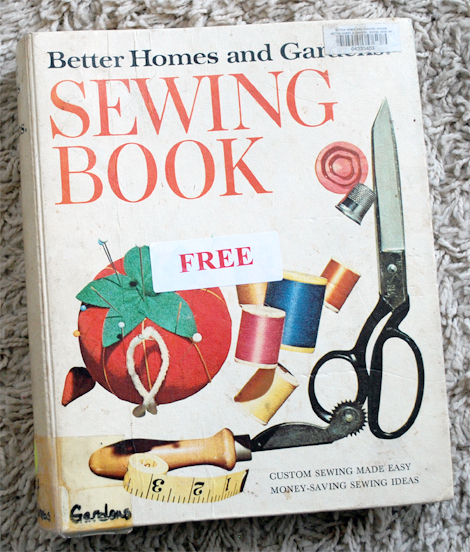 it discusses button holes, hemming, pattern making, drapery, slip covering furniture, you name it. if it has to do with sewing, the instructions are in here. being that it is a better homes and gardens book, i imagine it has graced shelves in many homes. aren't old craft books the best?? ?